Tired of skinned knuckles and tools that don’t fit? 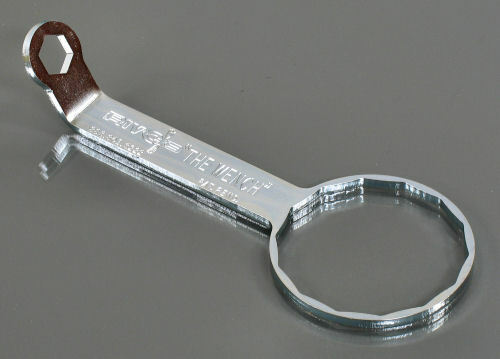 Made for late models (‘90 and newer) with little clearance between the crankcase or sensor and the filter, this wrench allows you to easily get in that tight spot and rotate the filter without slipping. Small end has built-in drain plug wrench. Works on all stock Harley-Davidson® oil filters. No Harley® owner should be without the one that works where others won't!